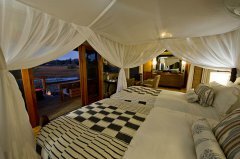 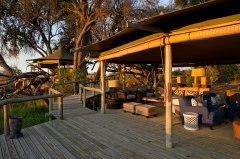 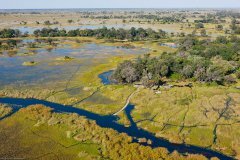 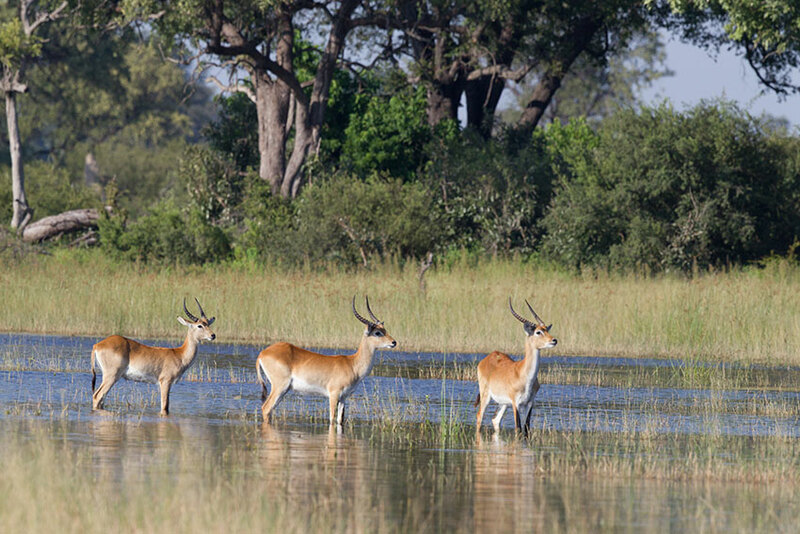 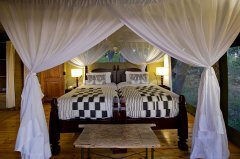 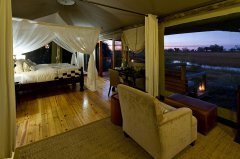 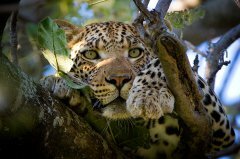 Little Vumbura is situated on a beautiful island in a private concession in the northern reaches of the Okavango Delta. 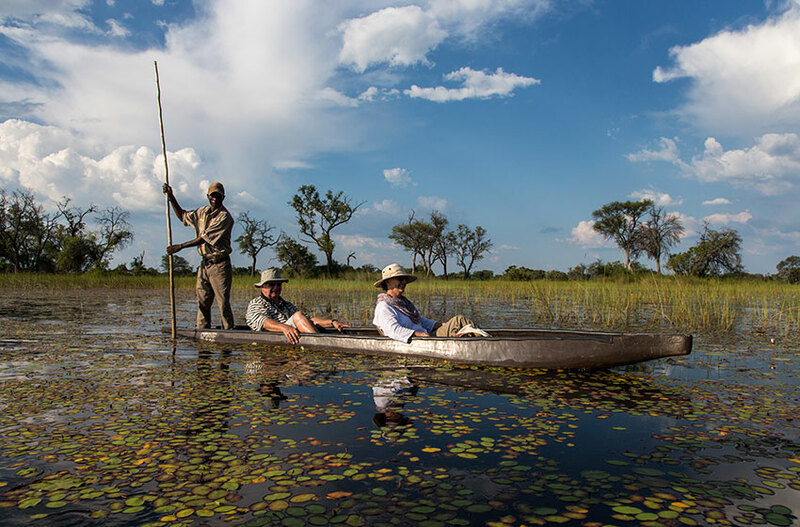 Surrounded as it is by water and lying close to large rivers, water-based activities are just as popular as those on land, both offering spectacular and diverse wildlife sightings. 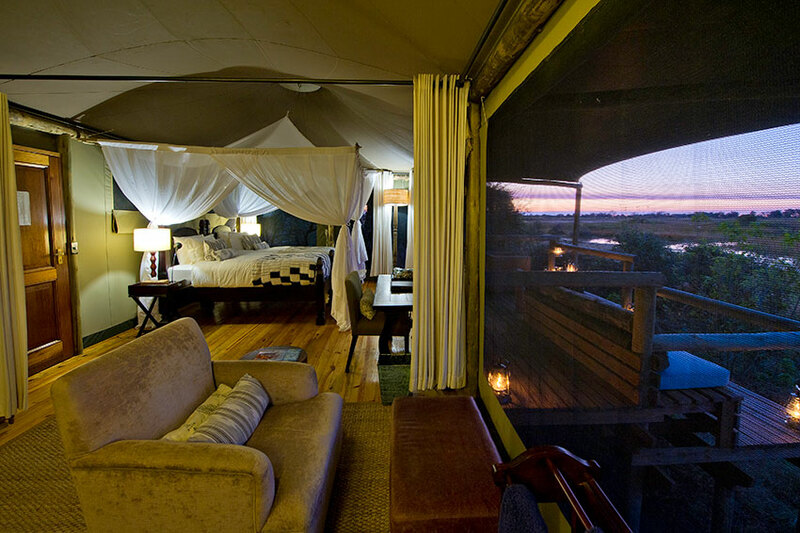 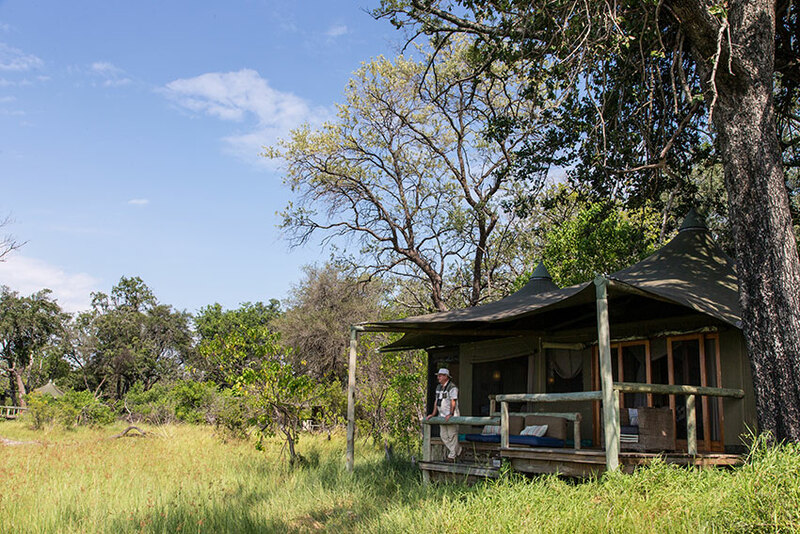 Little Vumbura is a beautiful six-roomed tented camp shaded by the canopy of an ancient forest. 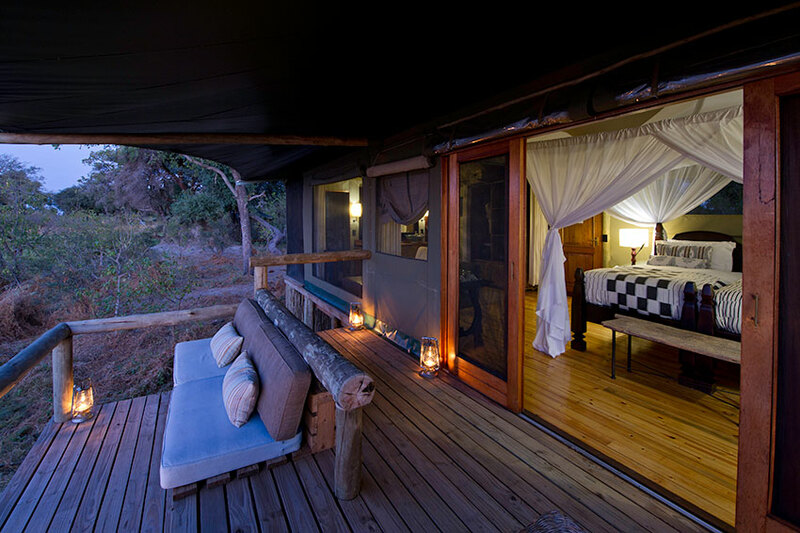 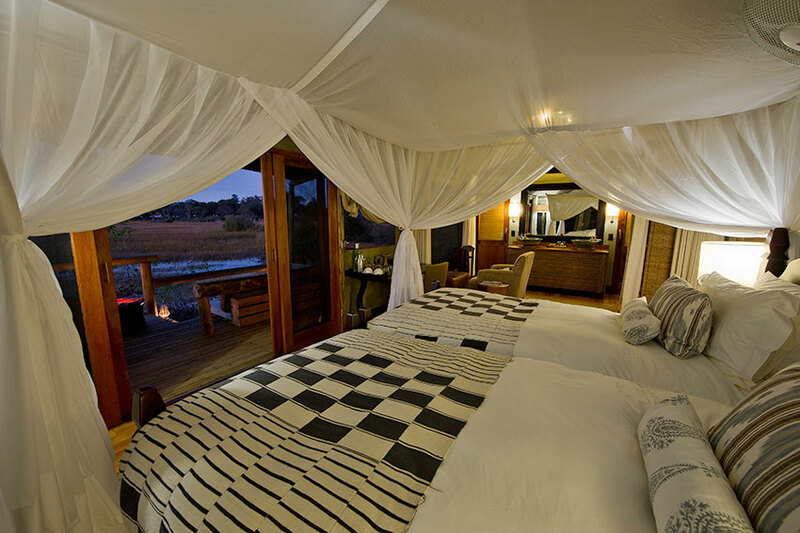 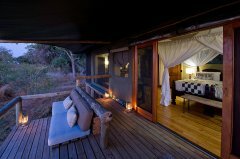 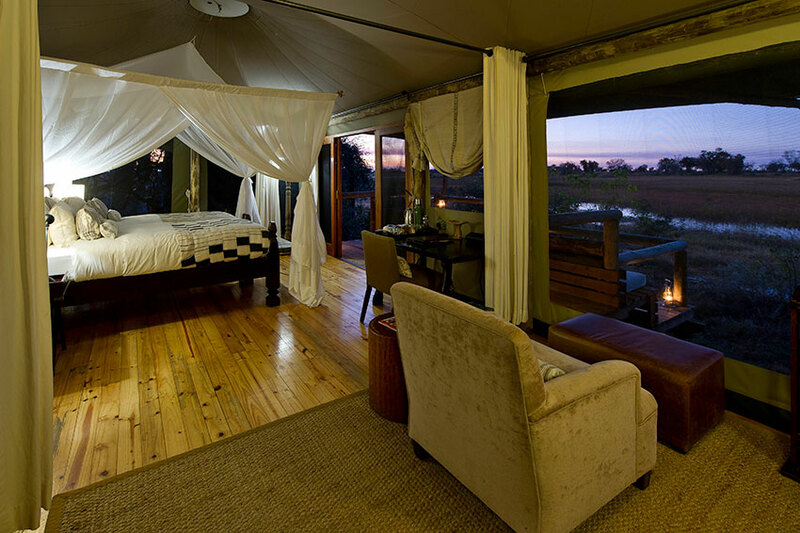 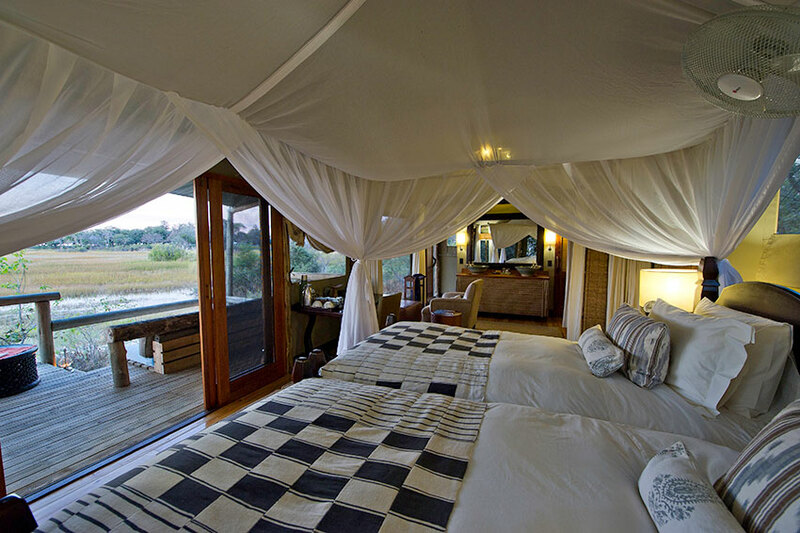 Each well-appointed tent has en-suite facilities and a deck with incredible vistas. 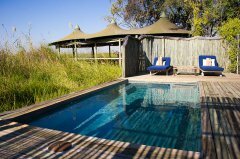 A plunge pool and reading area overlook the floodplains and a star deck leads off over the water from the dining area. 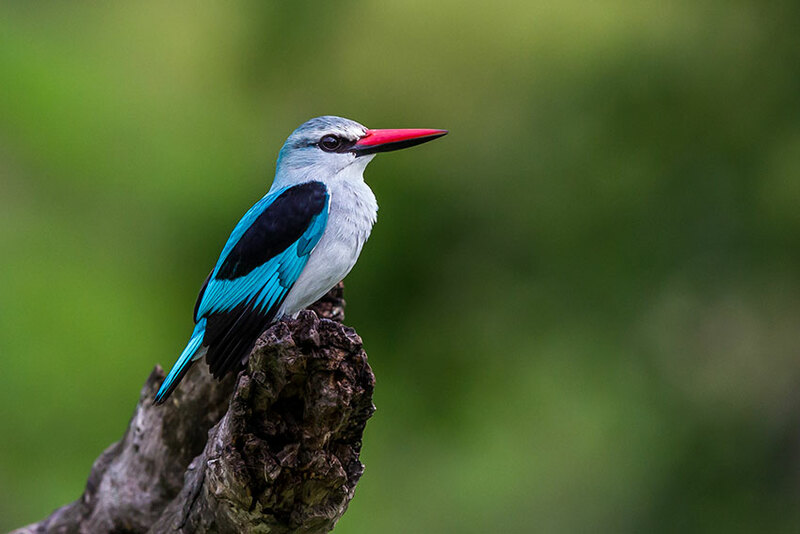 Due to its location, Little Vumbura offers a number of ways to observe the spectacular wildlife of this diverse concession. 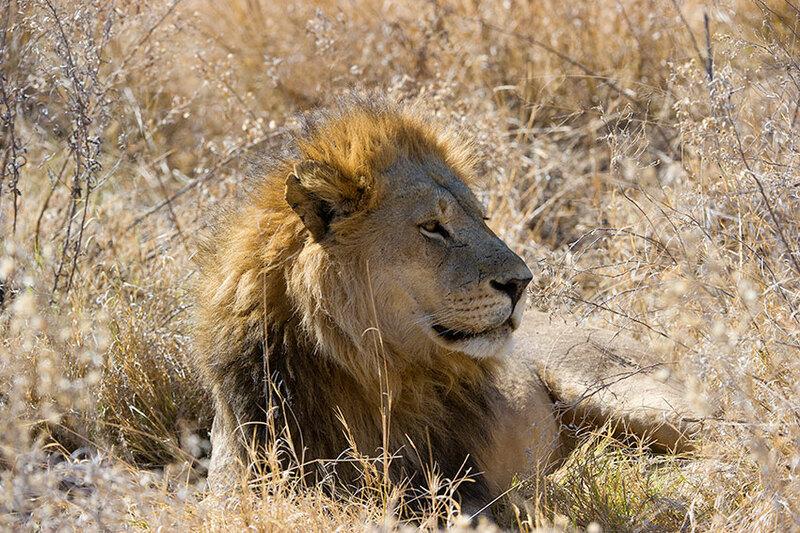 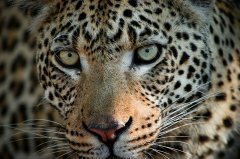 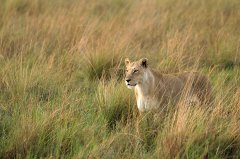 Morning and afternoon game drives allow you to get close to animals in the savannah areas where lion, leopard, elephant, sable and buffalo along with extensive plains game roam. 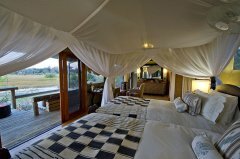 Our open 4x4 Land Rovers each accommodate a maximum of seven people allowing each guest a ‘window’ seat. 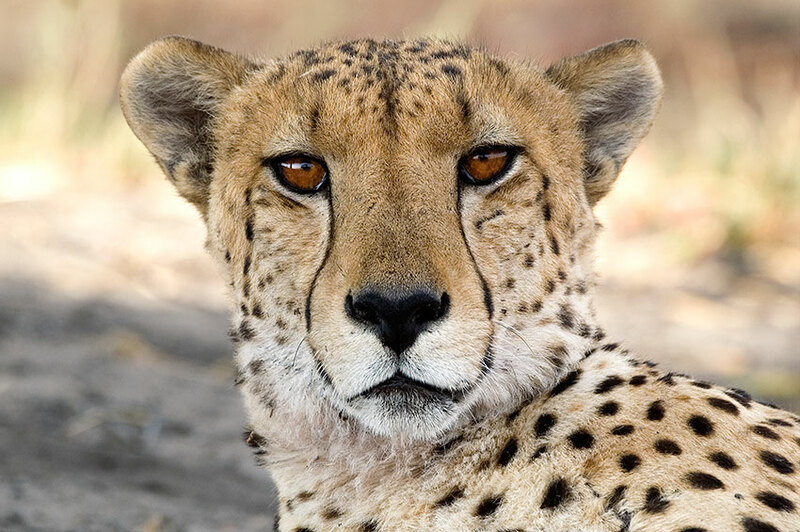 Night drives with spotlights allow you to find those nocturnal animals you wouldn’t see during the day. 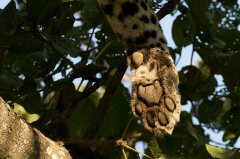 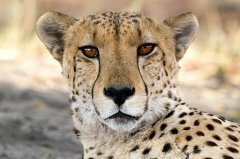 Porcupine, aardwolf, serval, large spotted genet and lesser bushbaby are just some of these. 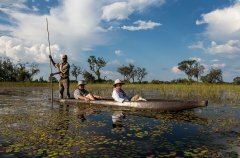 There is no better way of viewing game and exploring the Okavango than by traditional mokoro (dugout canoe) often providing up close and personal sightings of tiny frogs and exciting birdlife. 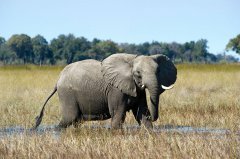 *This activity is water-level dependant. 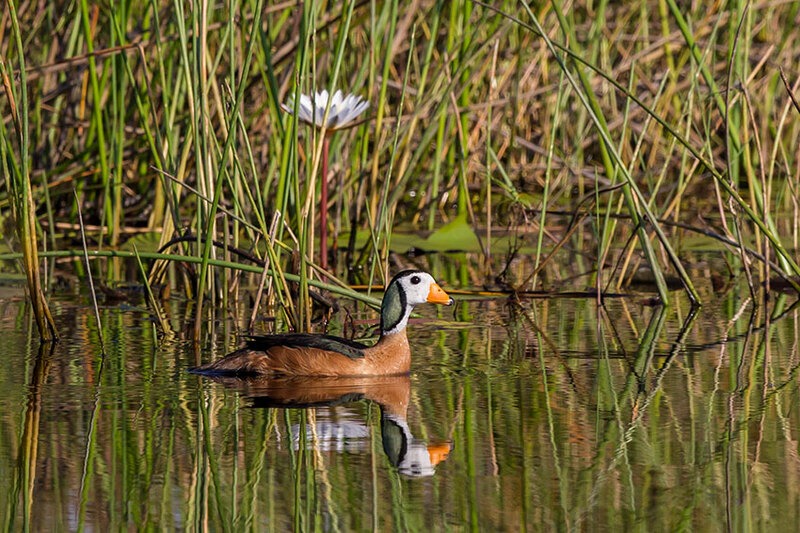 Water-level dependent, boating is another idyllic form of water wildlife viewing. 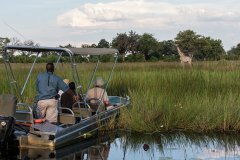 Sights of hippo and crocodile are common in the waterways. 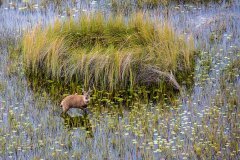 *This activity is water-level dependant. 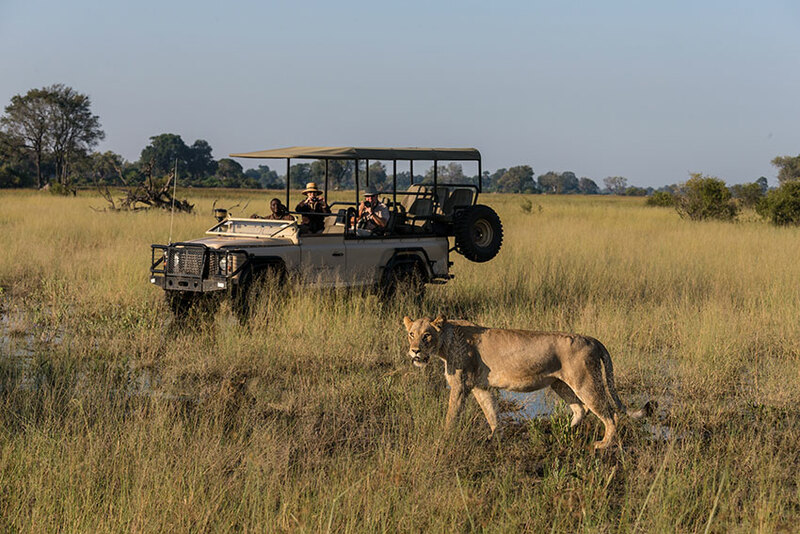 On request and dependent on the availability of a qualified walking guide, nature walks with skilled, armed guides are wonderful ways of getting close to nature and observing the smaller creatures and plants you miss when travelling by vehicle. 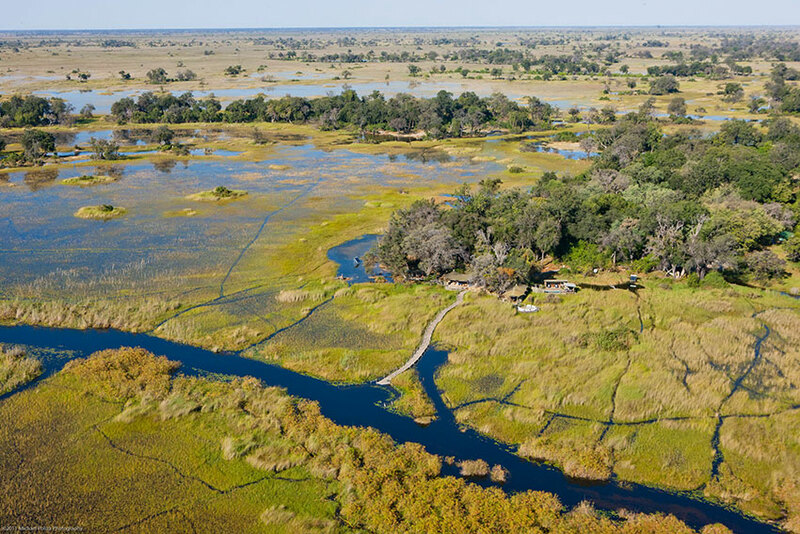 Visit one of the traditional villages of the Okavango Community Trust, meet the people and learn about the local culture. 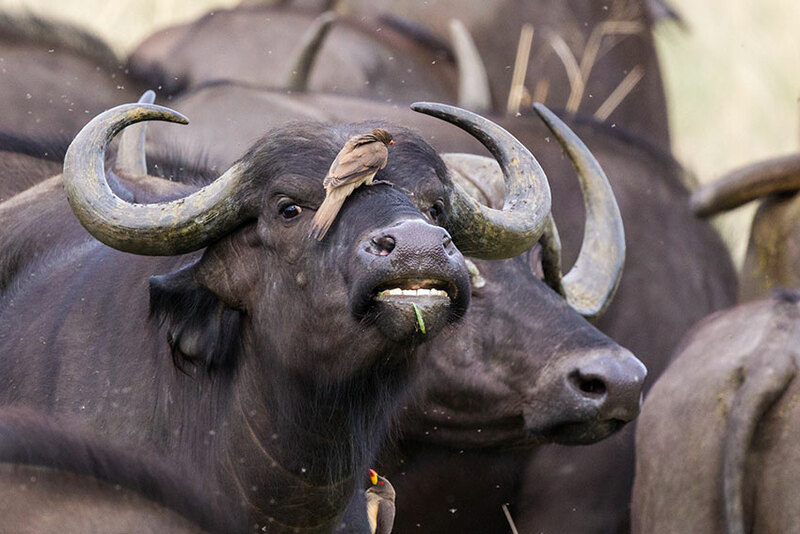 *This activity is at extra cost. The birding around Little Vumbura is exceptional all year round, with migrant species present in the summer. 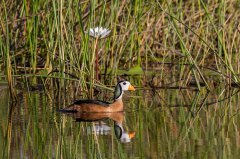 Pel's fishing-owl is regularly seen, as well as other specials like wattled crane and slaty egret. 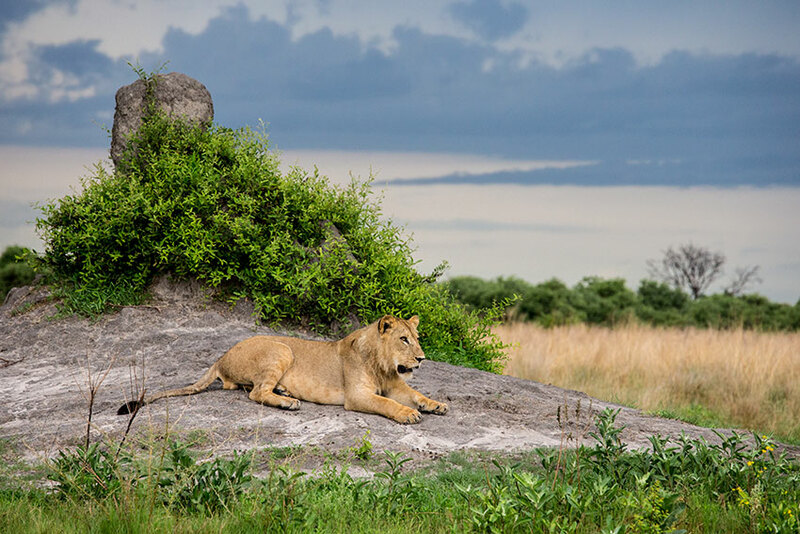 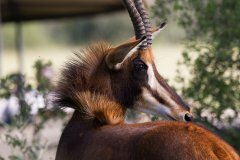 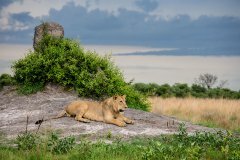 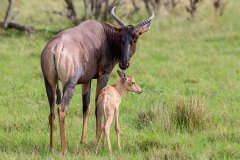 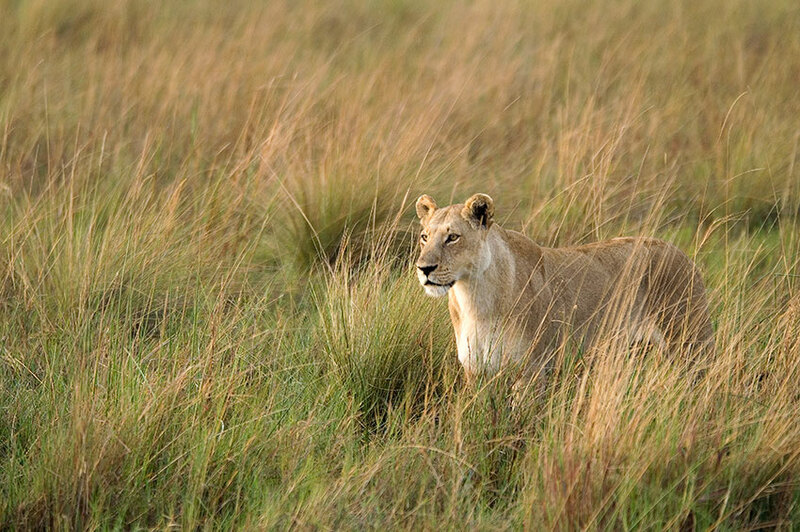 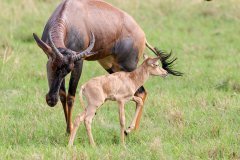 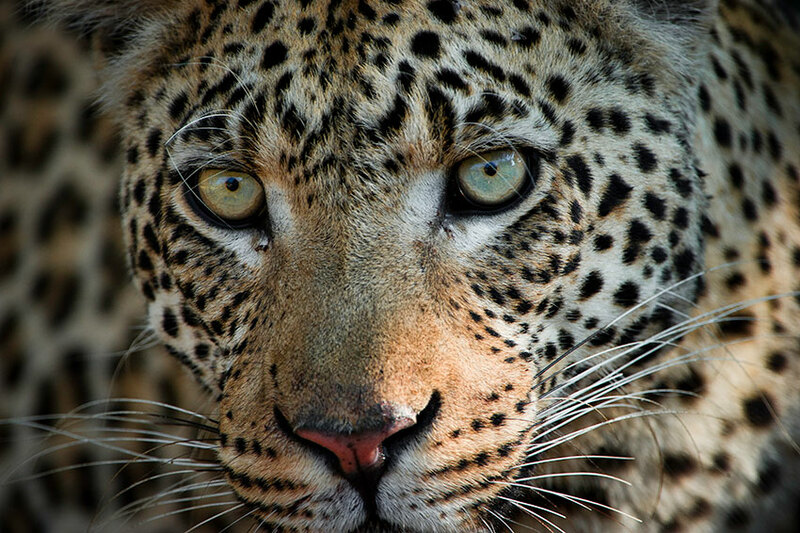 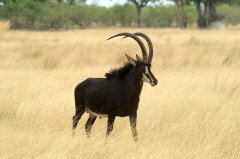 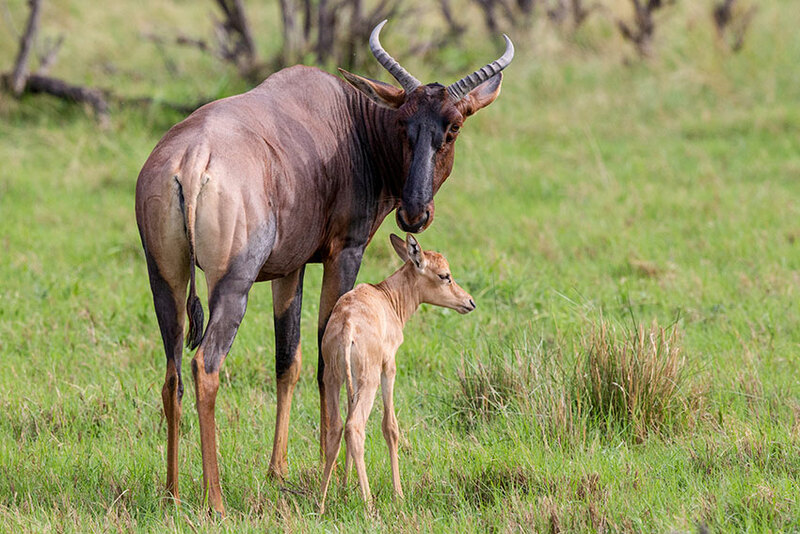 Take a morning game drive through habitats of all kinds to see a range of wildlife. Sip on a gin and tonic as you watch the day drawing to a close over the abundant floodplains. 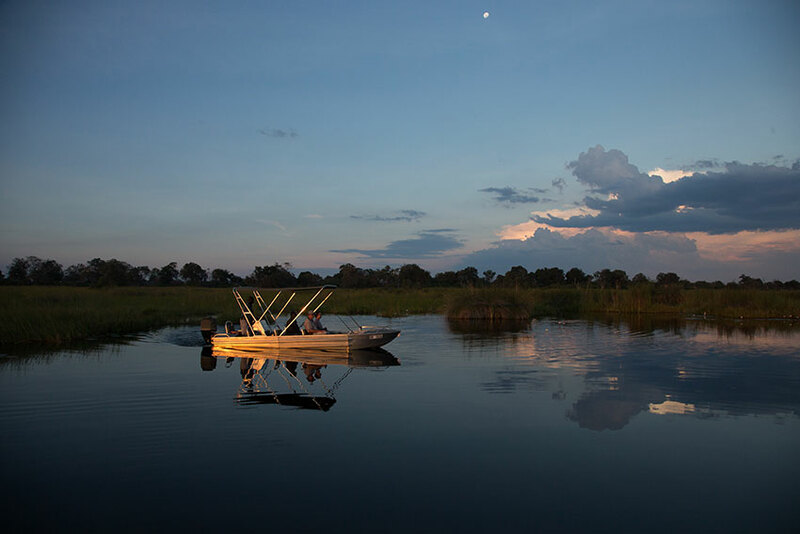 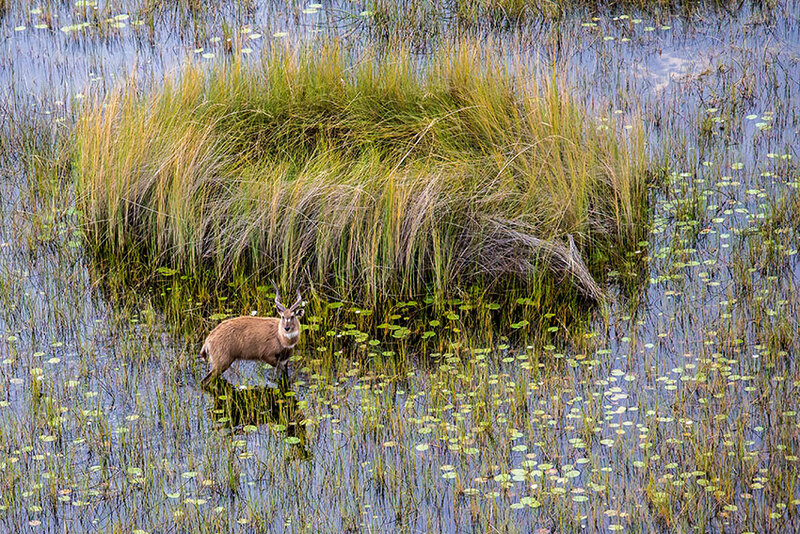 Float down a crystal-clear Okavango waterway on a mokoro, seeing reed frogs and waterlilies. 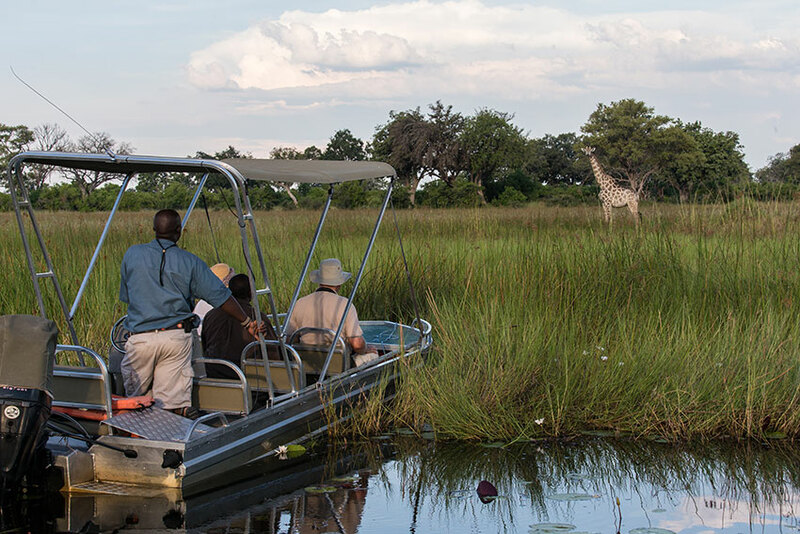 Take a walk through the bush with a guide and get up close to a journey of giraffe. 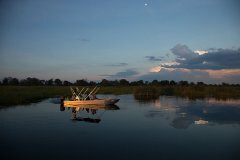 Boat through the Delta channels, watching wildlife move through the water and reeds. 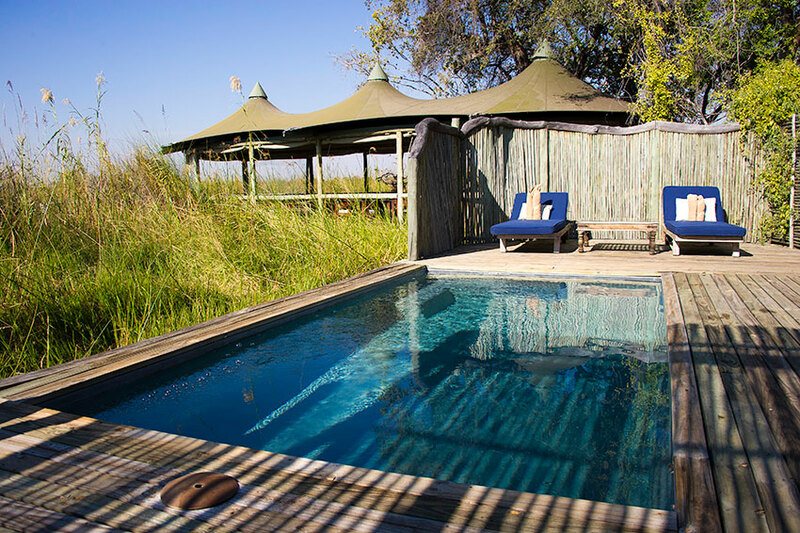 Enjoy the stunning view from the cool confines of our camp plunge pool. 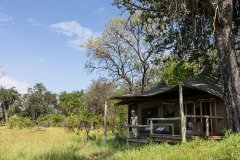 Find a Pel’s fishing-owl while on a mokoro excursion. 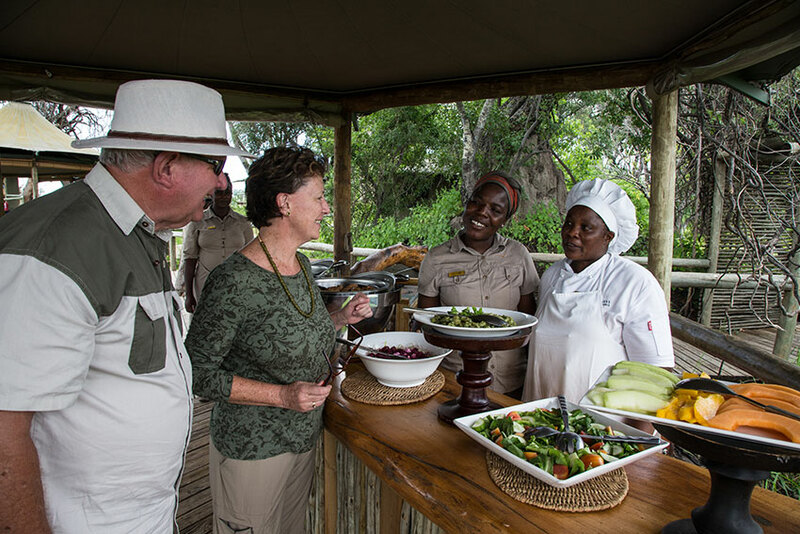 Dine out in our boma and enjoy traditional singing and dancing. 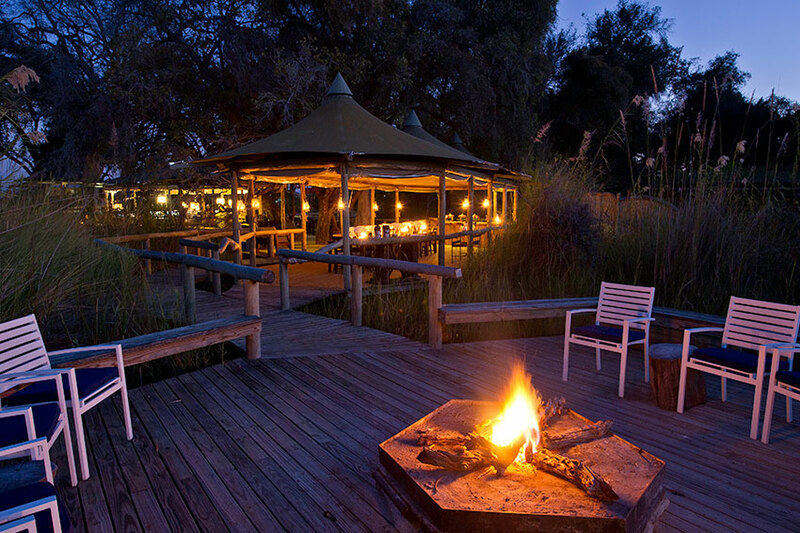 Brush up on your astronomy on our well-positioned star deck.